Some extra details on the Apple Watch have trickled out over the past couple days, filling in a couple of the blanks in Apple's big announcement. One of the bigger lingering questions was what to expect for battery life, as Apple made no mention of it during the press event. But speaking to Re/code, Apple spokeswoman Nat Kerris confirm that users should get used to a nightly charge. “We anticipate that people will charge nightly which is why we designed an innovative charging solution that combines our MagSafe technology and inductive charging,” Kerris said. 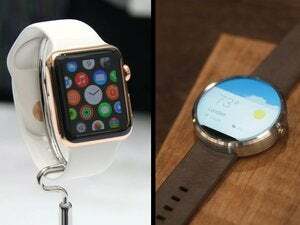 Despite the talk of innovation, a couple of Android Wear watches already rely on similar solution. 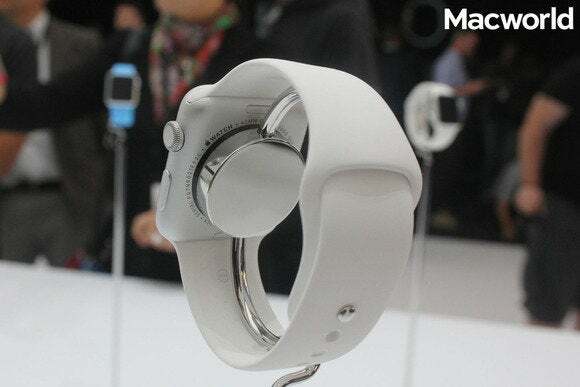 LG's G Watch comes with a magnetic charging cradle, so users can just plop the watch on top before they go to bed. Motorola's Moto 360 uses a wireless charging stand that isn't magnetic, but holds the watch upright so it can double as a nightstand clock. While it'd be nice if users didn't have to charge up every night, the routine isn't too unbearable when the charging mechanism is hassle-free. Apple also revealed a clever way to protect against watch theft, which is especially important since the watch supports tap-to-pay credit card transactions at certain stores. According to Cult of Mac, the Apple Watch's rear sensor can tell when someone's wearing it, and requires a PIN when users first strap the watch on. Thieves won't be able to make payments without the code, and they may be deterred from trying to swipe the watch at all. 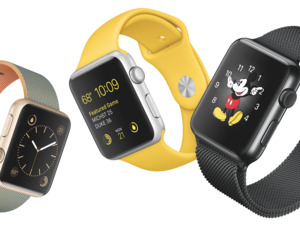 There's still a lot we don't know about the Apple Watch, including its dimensions, weight and storage capacity. 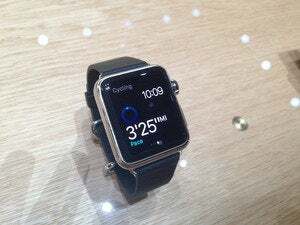 But Apple doesn't plan to launch the watch until 2015, so it has time to get the details in order.